It is almost 100 years since Great Grandfather died. There’ll be nobody alive now who knew him. He departed this life on January 28th 1913 and his Baptist beliefs would have made him certain of better things to come in the hereafter. Great Grandfather had become crippled with arthritis. He was weary of this life and was ready to go to that better place he was certain of. 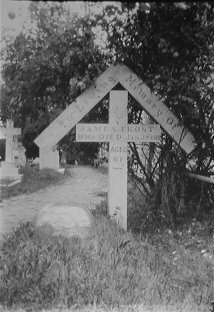 Great Grandfather was buried in his local churchyard – Hadlow Down in East Sussex. A wooden memorial was erected on the grave. Some years later, Grandfather took a photo of the grave. How lovely to have that photo, for the wooden memorial has long since rotted away. There is not a sign of it in existence any more. But maybe a better memorial has taken its place. For, as in Flanders fields, where the poppies grow, natural flora has grown on the grave. This was what grew on the site in June 2006. Yes, an orchid has sprouted. 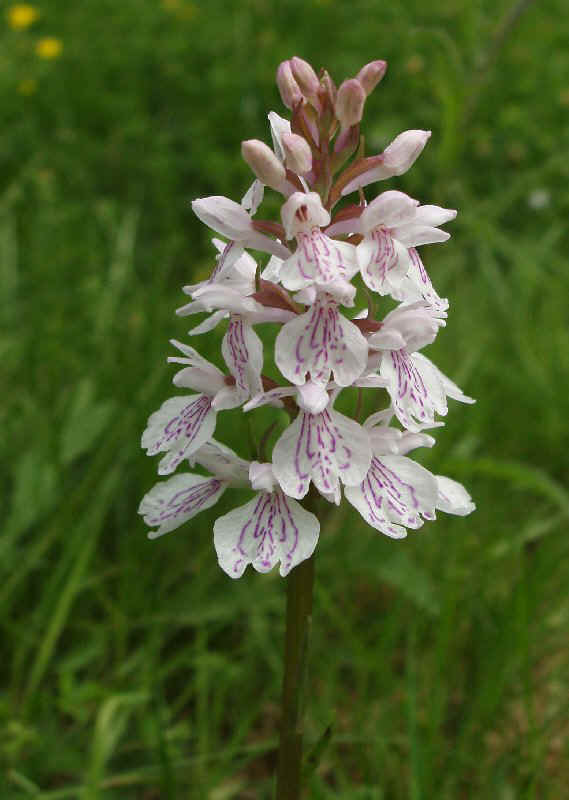 I’m fairly sure this is the most ordinary British orchid – the common spotted. But beauty doesn’t change or lessen just because something is common. I think it is a great memorial to Great grandfather. This entry was posted on November 26, 2012 at 7:08 am and is filed under Genealogy. You can follow any responses to this entry through the RSS 2.0 feed. You can leave a response, or trackback from your own site.